The Roll of Honour of 1916 was presented to the government on 24 May 1936 in a ceremony in front of government buildings on Merrion Street. The guard of honour was composed of a company of the regular Irish Army and a detachment of the Volunteer Force led by a Lt. Vivion de Valera. The ceremony began with the president of the executive council since 1932 and the highest-ranking surviving officer of the Rising, Eamon de Valera, taking the salute from over 1,000 survivors of 1916. The garrison rolls (45 pages) were presented to him, first for the GPO, and then for the remainder of the garrisons in alphabetical order: Ashbourne, Boland’s Mills, Cabra Bridge, City Hall, Four Courts, Jacob’s factory, Magazine Fort, Marrowbone Lane, Mendicity Institute, St Stephen’s Green and South Dublin Union. They were then handed to Liam Gogan, another survivor of the Rising and a member of staff of the National Museum of Ireland. Each garrison was broken down into two parts: (a) surviving members and (b) those executed, killed in action or since deceased. In 1936 there were 1,104 names on the surviving members roll and 254 names of those executed, killed in action or since deceased. All of the rolls included the signature of the person and some also included rank and unit. Only in the rolls of the GPO, City Hall and St Stephen’s Green was a distinction made in the latter figure between those killed in action and those who had since died. While accepting the rolls from de Valera, Liam Gogan stated that ‘it would be a good idea to make another attempt to correct the lists, and to include whatever names are missing, or erase names erroneously included, at the discretion of the committee’, which suggests that the roll was not complete. Over the years there have been various attempts to calculate how many people actually fought in the Rising. A summary of the military service pensions also complicates the matter. There were 86,608 applications under the 1924, 1934 and 1949 Army Pensions Acts, of which 17,849 pensions were awarded to those who had proven service between 23 April 1916 and 30 September 1923. 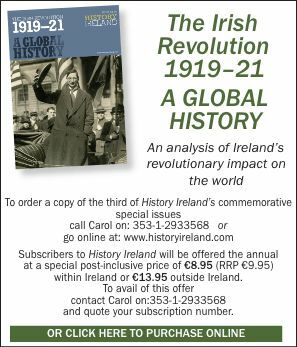 There is no breakdown for those who specifically fought in 1916 but it is believed to be the same as the number of 1916 medals issued on the 25th anniversary in 1941, of which there were 2,477 recipients. However, as can be seen from the number of failed applications, the civil service did not take the issuing of a pension lightly. Until the administration of the Military Service Pension Acts by the Department of Defence was finished on 30 September 1958, the onus of proof rested on the applicant, who went before a board of assessors consisting of three members, one of whom was a practising barrister or serving judge. At the handover of the rolls in May 1936 there is no mention in the press reports of the presence of either the Labour Party or Fine Gael. The signatures of W. T. Cosgrave, Desmond Fitzgerald and Joseph McGrath (all members of the Cumann na nGaedheal government of 1923–32) are on the roll, yet Richard Mulcahy is notably absent from the Ashbourne garrison. Of the succeeding Fianna Fáil government (1932–7), seven members signed the roll, including Eamon de Valera, Seán T. Ó Ceallaigh, Seán Lemass and Oscar Traynor. Indeed, it is noted in the press coverage that members of the cabinet marched in the parade. So it would appear that twenty years after the Rising the signing of the roll was overshadowed by the same Civil War divisions that have dominated Irish politics until recently. While there are discrepancies between the number of pensions and the number of signatures, the Roll of Honour is still an important historical document. After many years on display, the Roll of Honour of 1916 was removed for conservation reasons and access could only be given by appointment. This year the rolls are being scanned so that they can be electronically accessed in the Irish Military History Exhibition, which is set to open this summer at the National Museum of Ireland at Collins Barracks and on the Museum’s web site. The new 1916 exhibition is due to open during the week of the 90th anniversary of the Rising in April 2006. Labhras Joye and Brenda Malone are Assistant Keepers at the National Museum’s Art and Industrial Division, Collins Barracks.